Baja California, Mexico is a legendary peninsula that has some of the most beautiful coastline, mountains, valleys, and vistas of anyplace on Earth. 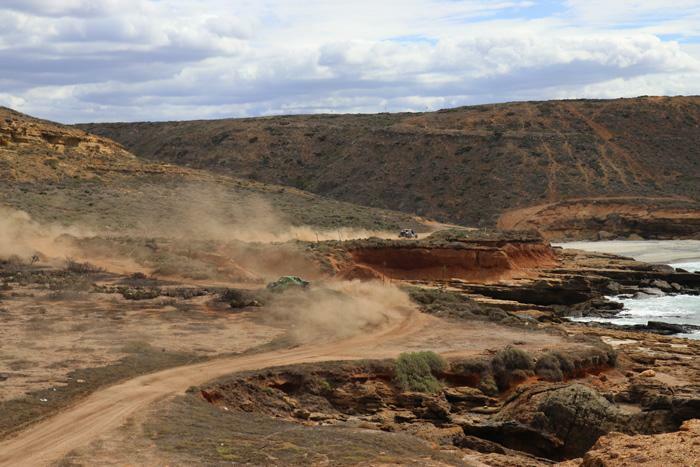 It is also a playground for some of the most wealthy and adventurous people in the world who love to test their physical endurance and technical ability as a driver during the Baja 1000 and other races held here. We recently had a chance to spend four days here, driving a Baja challenge car that had actually completed the Baja 1000 course and it's an amazing experience. What you might not know is that there's no credentialing authority, so all you need to do to compete is show up with a car and pay your entry fee! That's right. Unlike other races where you need to qualify, anyone can show up and race in the Baja 1000 or Baja 500. There are qualifying laps that will allow the best drivers to be placed earlier in the order. Other than that ... and guts and money, there's nothing preventing any of you guys from entering the race the Baja 1000 this year. Finishing the race ... well, that's another situation entirely. These famous desert races are organized by SCORE International, an organization that runs a series of races including the legendary Baja 1000, celebrating 51 years in November 2018. However they also run the San Felipe 250 in April, Baja 500 in May/June, and the multi-day Heat Races of the Tijuana SCORE Desert Challenge in September. It's one of the few events in the world where real men can prove themselves to be better than the others around them. This opportunity for greatness attracts a host of individuals from grizzly race veterans to millionaire playboys and everyone in between. While our experience with Wide Open Baja was only a taste of what it would be like to compete in the actual Baja 1000 race, it opened my eyes to just how incredible of an experience it must be to compete in it or the Baja 500. As you can imagine, this journey was rough and so the cans got banged up a bit in the cooler but I sorta like the new patina that the experience gave them! 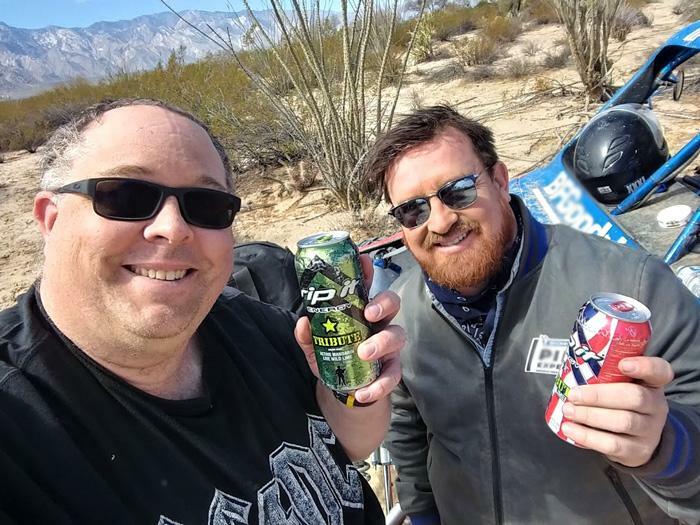 So, with plenty of Rip It Energy Fuel packed into the chase car, we set out on a 600 mile journey from Ensenada on the Pacific side of Mexico to San Felipe on the Sea of Cortez and back. 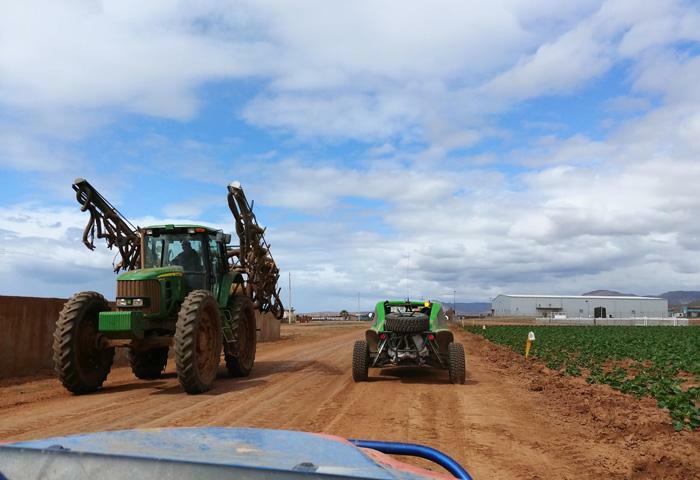 Our journey took us on the actual roads used during the Baja 1000 and Baja 500 but at a fraction of the speed. Even at our reduced rate of travel, it opened my eyes wide to just how incredible the race must be to participate in. 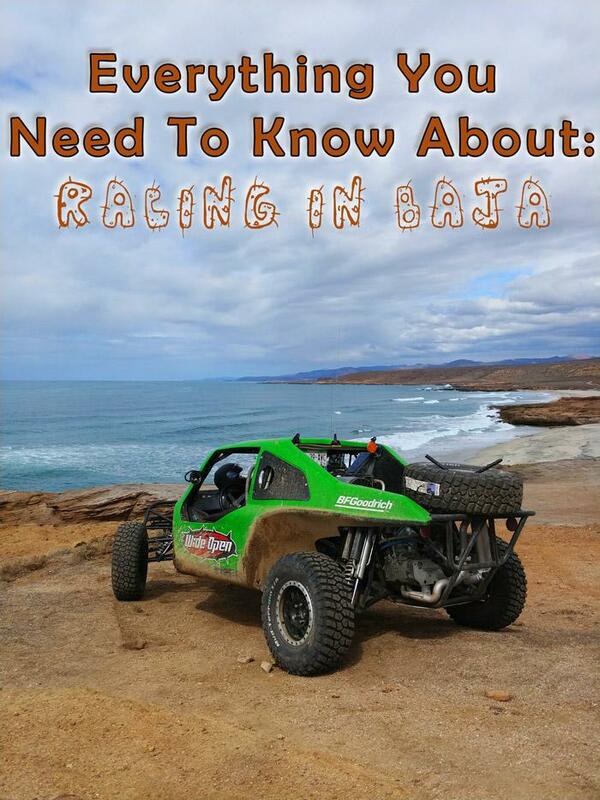 How Long is the Baja 1000? Logic would suggest that the Baja 1000 would be 1,000 miles ... or even 1,000 kilometers but nope. The route changes from year to year and sometimes it's 1,100 miles and sometimes it is 1,700 ... other times it might be shorter. The same goes for the 500. How Long Does It Take to Complete the Baja 1000? The time to complete the Baja 1000 depends on a lot of factors including the class of vehicle as well as the weather and of course any technical issues you encounter along the route. However, leading teams usually complete the race in about 20-25 hours. There's no stopping. Teams are racing in the daylight as well as at night. It's an endurance race for both man and machine that sometimes ends in tragedy but always ends in new legendary tales of heroism. How Much Does it Cost to Enter the Baja Races? Entry costs change from year to year, but the driver and co-driver must be members of SCORE and registration / entry fee depends on the class of vehicle competing. At the top end, entry fees can exceed $4,000 for Trophy Trucks and start at about $2,500 for "sportsman" motorcycles and quads. What Vehicles Can Compete In the Baja 1000? 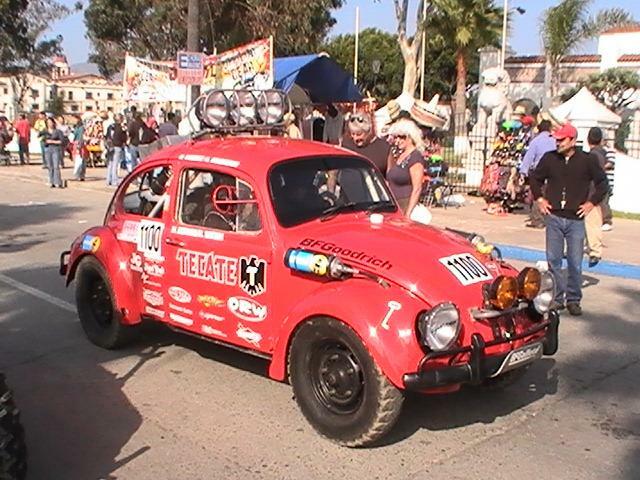 The organizing body for the Baja 1000 has dozens of categories for vehicle that are permitted to race in the Baja 1000. These range from half million dollar trophy trucks to motorcycles and quads. However, most interestingly for some - "Class 11" is limited to stock pre-1982 Volkswagen Beatle sedans. Modifications here are limited to safety, reinforcement, and ground clearance. That means for instance that you can install a full roll cage per SCORE safety requirements - but you must use stock brake drums, maximum 1600cc engine as delivered from the factory, and front shocks must be of 2" or less. How Do You Get a Baja Challenge Car or Truck? It should be obvious that these vehicles are not your standard 4x4s - and in fact the cars we drove (actual vehicles that have complete the race) were only 2-wheel-drive. However, they cost well over $100,000 to build. Trophy Trucks can cost in excess of $500,000 and motorcycles designed to compete the Baja 1000 can obviously cost far less. However, that's just the beginning. You also need a compete race team that includes a pit crew to change tires and fuel the cars as well as other support vehicles. For those not ready to buy a complete team, there are "arrive and drive" options that start at about $100,000. One of those that rent Baja challenge cars for arrive and drive programs is Wide Open Baja but there are others as well that offer trophy trucks such as Brenthel Industries, Baja Racing Adventures, VORE, Driven Experiences, and Trophy Lite. What's The Route for the Baja 1000 and Baja 500? The Baja 1000 and the Baja 500 routes change from year to year. However, for the Baja 1000 it usually starts in Ensenada and ends in La Paz. Sometimes (such as 2016) it is a loop that started and finished in Ensenda with checkpoints to ensure that drivers complete the course. 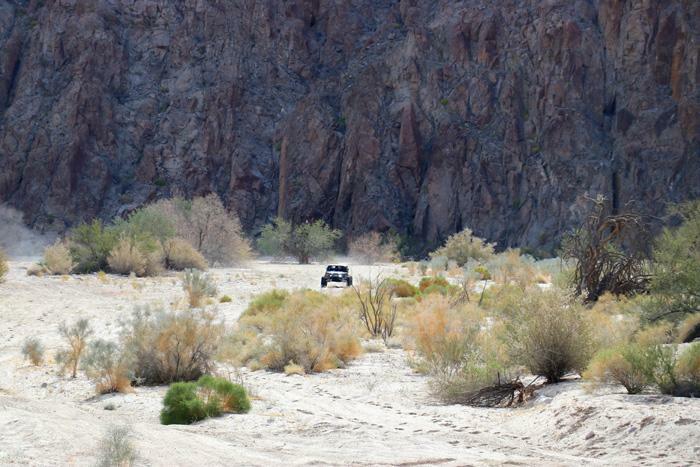 The Baja 500 however, follows a loop course that starts and ends in Ensenada and traverses the mountain passes up to 4,000 feet and loops through the desert by San Felipe. Each year the route is somewhat different and so if you want to compete, it's important to particapate in "pre-running". This will allow you to become familiarized with the course, road conditions and any obstacles. However, the fun and challenge of the race is ultimately that anything can change and any moment. In our experience, this included rocks that fell on the road that were knocked loose from the car infront of us to cows that decided to walk across the road. How Did the Baja 1000 Start? The Baja 1000 first began in 1967 suggested by Bud Ekins as a way to test Honda dirt bikes. That first race started in Tijuana on October 31, 1967 and ended in La Paz with a length of 849 miles. Today, the Baja 1000 is the longest non-stop, point-to-point race in the world. One thing that you don't understand until you experience it yourself though is that unlike a track with smooth pavement or even a rally course where things are plotted out ... racing in Baja is constantly changing. It is a dynamic environment and so you need to be in top physical and mental condition as well as having a great car and team to support you. The first thing you realize while driving through Baja is that you are NOT in the United States anymore. This is a land where things such as speed limits and safety concerns simply aren't issues the way they are in the United States. The terrain ranges from paved roads to dirt roads to mountain passes with thousand foot drops into the valley below. There are no guard rails and you might find oncoming traffic, farm tractors, and people on bikes simply trying to get to work. If you hit something, you are in trouble ... but other than that, you can go go go! In our cars, the top speeds were limited to about 80 mpg but Trophy Trucks regularly exceed 140 mph on the dry lake beds. During the race, you'll also have encampments of people in tents along the road that you'll need to avoid even in the dark with clouds of dust surounding your vehicle. Sometimes, local kids will even dig holes or obstacles to throw drivers for a loop as well. Literally anything can and will happen on these races! While we weren't under the clock to finish the course in a certain amount of time, the experience was amazing. 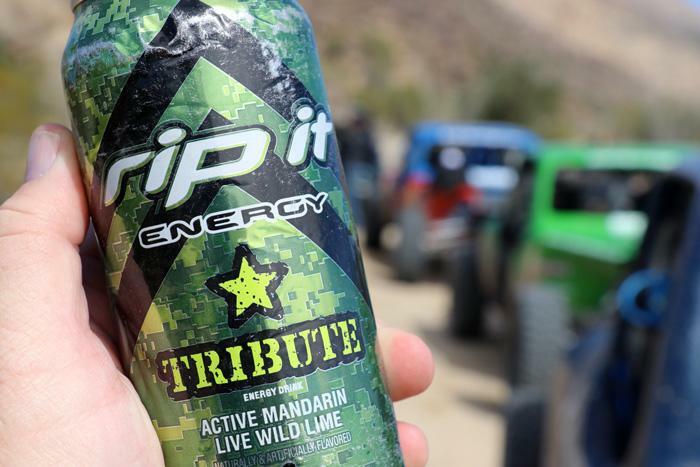 Baja is one of the toughest environments on earth and it's important to stay alert at all times, so I'm glad we brought some Rip It Energy drinks. It was originally created in 2004 and has become the favorite of troops serving overseas as well as those back home. Now it's also available to anyone looking for a great tasting energy drink that is made in America and available at a great price. 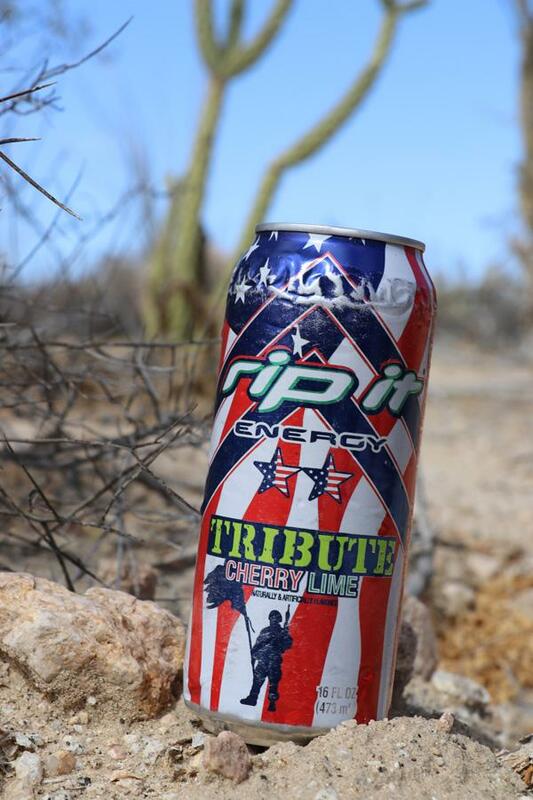 Rip It Energy is available in six sugar-free flavors and is real energy for real people. You can find it in many retailers nationwide but also available online. Make sure to use promo code: ENERGY20 for free shipping when you order online. You can also follow Rip It on Instagram and comment to get a free shipping code or follow Rip It on Twitter and comment to get a free shipping code.